The top drive system is provided with AC variable frequency driving method, and mechanical, electrical and hydraulic integrated control technology, PLC program can be customized according to the user’s requirements, and protection and interlock functions are available. A patented oil-guide ring structure is adopted for the sealing of main bearings, so that no lubrication will leak due to the failure of main shaft oil sealing. A patented foldable structure is adopted in the guide rail, which can be locked and unlocked automatically without manual installation of lock pins, so that the installation and disassembly can be operated in a swift, convenient and safe manner. Patented double-clip type back-up tongs, which do not rotate with the swiveling head, are adopted to make the make-up and break-out operation easy and convenient. 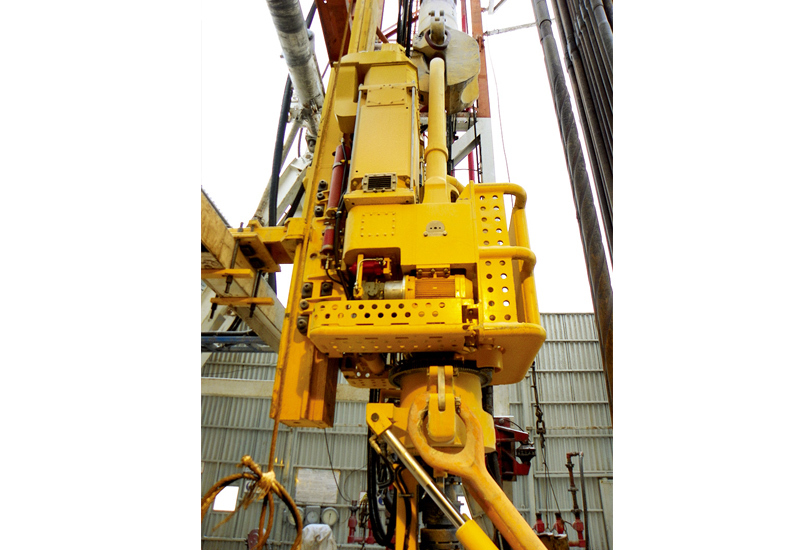 A patented pinion and rack structure is adopted in hydraulic-control IBOP, the oil cylinder and oil circuit are internally communicated, and no hydraulic line is arranged outside, which prevent the suffering of scrape and damage and ensure high reliability of the IBOP. An underneath double-cylinder balance system is provided, which is good in symmetry, uniform in stress, long in service life, and free of site installation. The swiveling head is connected with the case body through fixed pins, and the main shaft bears no force during tripping process or when freeing stuck with a bumper sub. 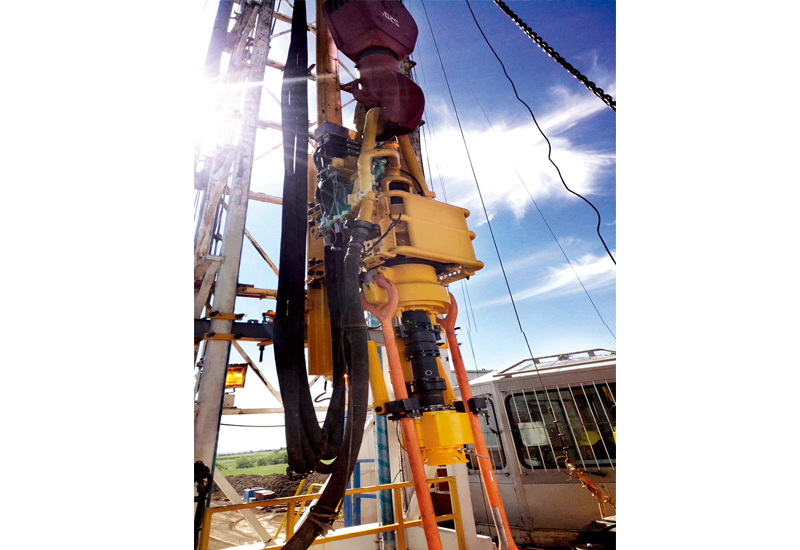 A top drive casing running device is equipped, and the device is simple in structure and convenient for use (and can be used for casing drilling). The hydraulic system is integrated in the top drive body, so that the pipe can be as short as possible, the energy consumption is low, and it’s not required to install hydraulic system or pipeline on site. 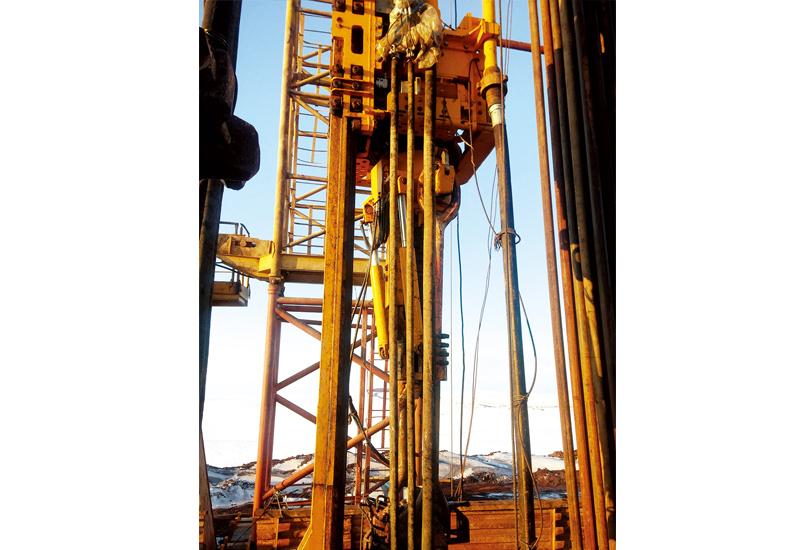 Touch control panels are equipped in the driller console, so that the operating status and fault points of the equipment can be known timely, and the operating reliability is improved.